Handcrafted engagement and wedding rings are my passion and specialty. I have made hundreds of bespoke rings over the years - traditional, modern and unique - no matter your budget, the stones or the metal - I'm looking forward to working with you! All meetings and design work are free of charge. Live interstate or can't come to meet me? It doesn't matter - by using internet, phone calls and skype I have done work for clients all around the country. Getting married is sometimes stressful - choosing/designing an engagement ring and wedding band set should not be. I do my best to work with you, to take the time and care needed to make sure I am understanding what you are wanting - and to carefully explain to you all the options - and things to consider. I like to get to know about you and your loved one. Once I know a little bit about your needs, wants and personalities - it helps me know what stones and metals and design elements might work best for you. It's never too early to start your planning when it comes to your engagement ring and wedding ring. It might take several weeks to find the diamond or stones you like and a week or two of designing before you are ready to go ahead. Although I can do "rush" jobs - I usually quote a 6-8 week turn around for custom made rings - sometimes longer if there is engraving or you want a valuation. You might come into the store, or contact me via email. If you are just starting out and still unsure about you want I am happy to give you some things to think about but will recommend a private after-hours appointment where we can talk in-depth and do some drawings. We can continue to refine these and consider options until you have a one or two that you are happy with. I will be able to provide you with a "rough" quote based on your chosen design and proposed stone type & sizes (final quote will depend on the stones). Large Diamonds and coloured gemstones are usually ordered in on "approval". Once they are ordered we have 1 week to view them and make a decision. If they are not right or you are not ready, they get sent back to the suppliers at no charge. If you pick one to keep and use, then a deposit is required. Once all the stones are decided and we know exactly what you want (ie metal type, band thickness, final design approved etc) I can provide you with an final quote. The quote is valid for 30 days. Once you are happy to go-ahead, a 50% deposit is required and I will start your ring/s. I will contact you for a fitting approximately 6 weeks later. 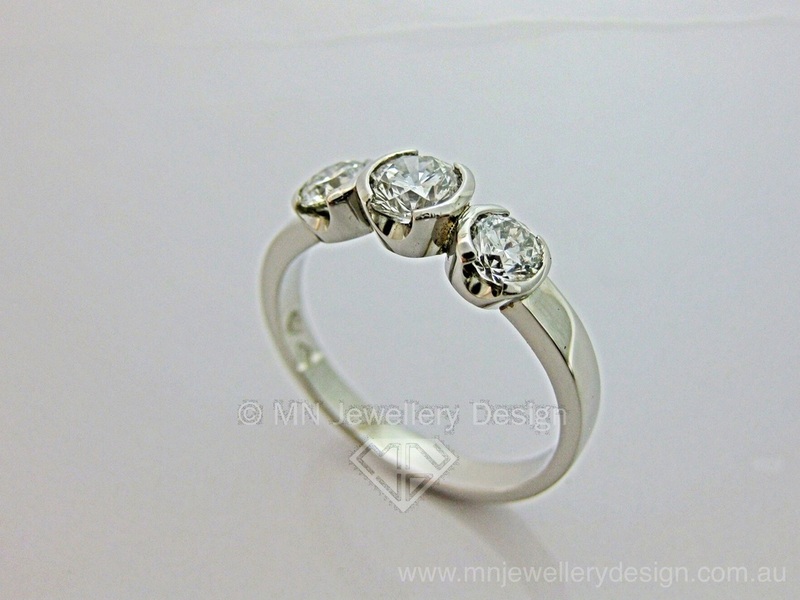 Then you can come and pick up your stunning new ring! We will provide you with a comprehensive sales certificate describing the metal and stones used and retail price. This is not a valuation. Jewellers who are not trained valuers cannot provide a legal valuation, this must be done by a valuer who is registered by the NCJV (National Council of Jewellery Valuers). We are happy to arrange an independent valuation for you or point you in the right direction. 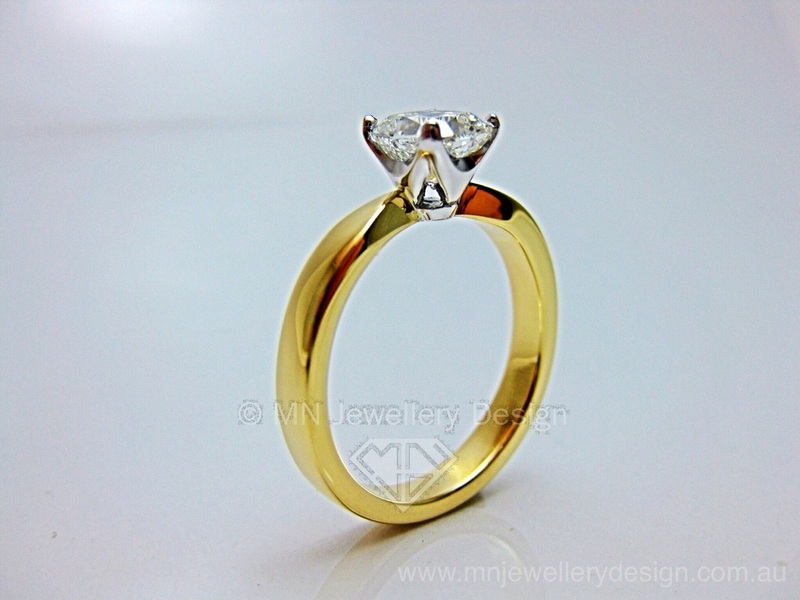 Some examples of engagement rings , wedding sets and wedding rings.